This accessible book distills the yoga tradition into a powerful methodology for integrated well-being within the context of the hectic modern world. This practical guidebook provides accessible methods to leverage the yoga tradition as a tool to unlock one’s fullest creativity, leadership potential, and overall well-being. 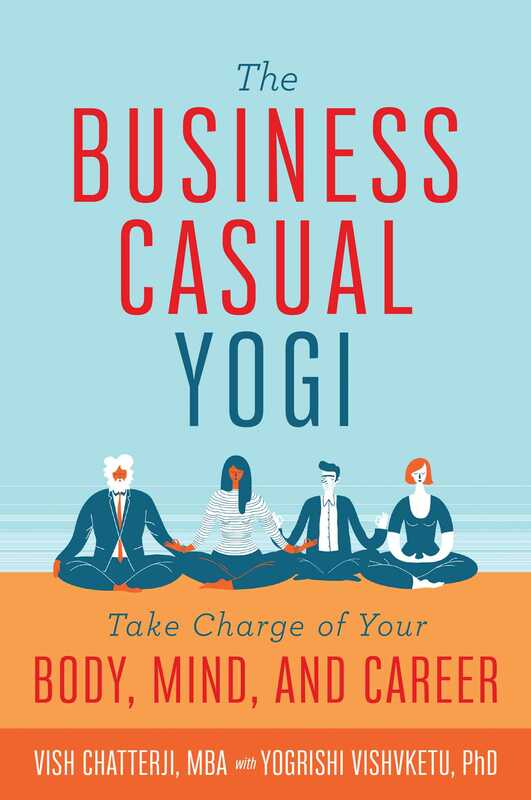 Filled with physical and mental exercises, personalized guides for diet and lifestyle, and tools such as meditation and breathing exercises, The Business Casual Yogi’s simple framework will help you attain greater happiness, balance, and success. The authors—a successful California technology entrepreneur turned executive coach and a world-renowned Himalayan yoga master with a doctorate—have created a practical approach to attaining a better lifestyle without needing prior yoga experience. They leverage their understanding of the needs and priorities of the busy modern professional to present a simple and relatable approach to changing your life through yoga.